Sideboard with 3 doors, 3 drawers, removable interior shelves. 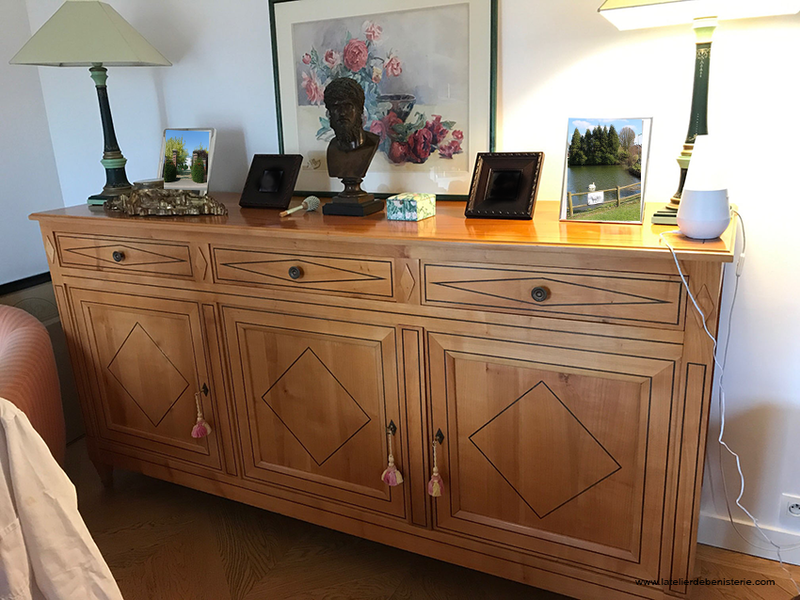 French directoire sideboard, 3 doors, 3 drawers. Bookcase 4 doors including 2 glazed. The french directoire style is best defined as follows - sober lines and the distinctive pattern: lozenge. It covers the years 1795 -1804.